Approaching the Minecraft Death Star from the south. 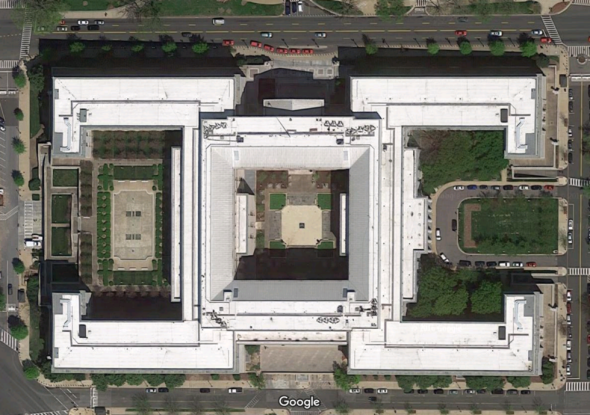 This blocky monolith occupying an entire city square on Washington, D.C.’s Capitol Hill is the Rayburn building, built in the 1960s as new office space for the House of Representatives. It’s design frequently evokes soliloquies on “monstrous,” “soul-deadening,” and “fascist” architecture. The layout of the Rayburn building resembles a corrupted letter H, with tentacle stubs jutting outward off the center and inward on the ends. The H shape has two unintended impacts on the building. First: Its windowless hallways are impossible to navigate. To get from one corner to the opposite you need to make a right, a left, another right and another left. Second, it occupies the maximum amount of real estate with the minimum amount of usable space. Less than 20 percent of the Rayburn’s floorspace is offices. The rest is taken up by corridors, garages, cafeterias, elevators, and so on. Rayburn has a five-acre footprint, and looming four stories over the Hill, it is larger than the nearby Capitol building. The height is even more pronounced at the southwestern corner of the building, where a drop in elevation exposes the subbasement level and gives the appearance of a six-story building. The entire facade is clad in 7 million pounds of blank white marble. 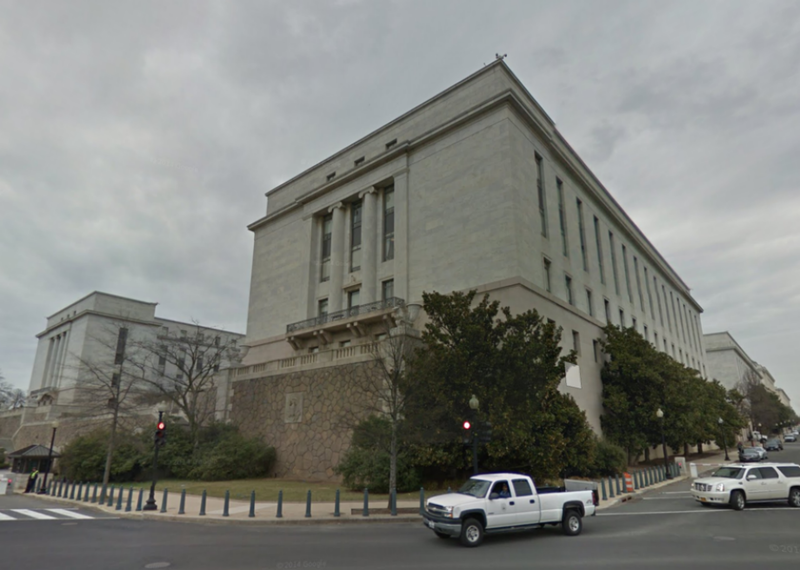 It can be difficult to appreciate the overbearing scale in photographs, but standing at its base it is impossible to ignore how Rayburn dwarfs its human inhabitants and much more restrained neighboring offices.